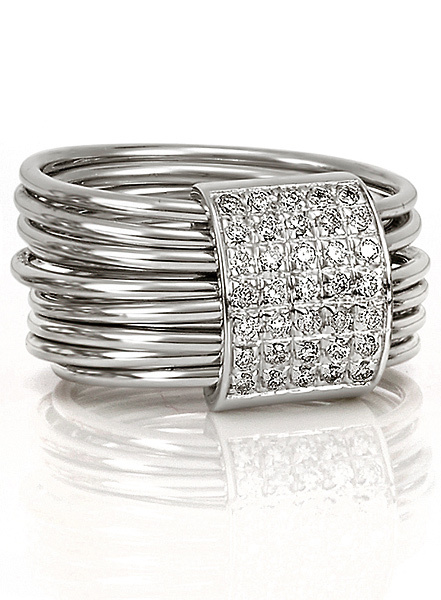 A Square of Brilliant Cut Diamonds rotating over 10 White Gold Bands. Represents jewellery in motion at its best. Crafted to float gently with the movement of the hand, an innovation of style and grace. Representing Barcelona for its creativity and originality.